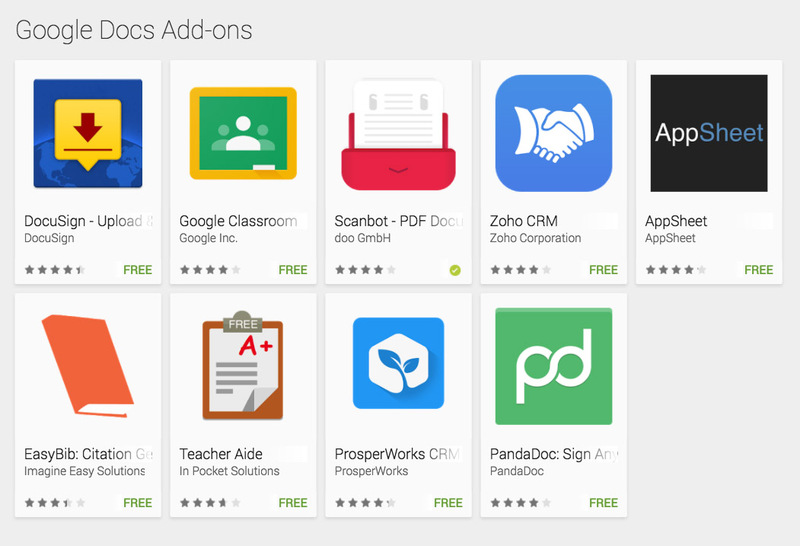 This morning, Google introduced a new feature to Google Docs and Sheets that allows 3rd party apps to better integrate their services into Google’s office suite. Called Android Add-ons, you will now be able to trigger a DocuSign action from within Docs, import CRM data from ProsperWorks, and even easily scan documents with a combination of Scanbot and Docs or Sheets. Those are just a few examples of the types of actions you could complete with this add-ons integration. And of course, I would imagine there will be more and more over time. To explore the current add-ons, head over to this Google Play link. To read more about each individual integration, hit up the source link below.